You’ve decided to upgrade your warehouse management system, but you’re not quite sure where to start. Although a best of breed WMS will drive dramatic efficiency and productivity improvements, if your warehouse has never undergone a WMS implementation, the idea can be intimidating. 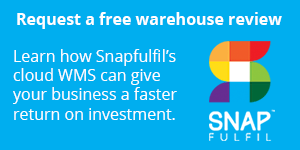 While your WMS vendor will provide guidance throughout the process, as the customer, what steps can you take to ensure success? Here’s a look at some best practices, before, during and after your WMS implementation. First, agree on success criteria and set out the priorities for the new WMS. For example, do you want to reduce the number of inbound calls to your customer service team relating to shipping by 50 percent within one month? Or ship 500 orders with the same team 25 percent faster? Early wins can really help to build confidence in a new system so focus on achieving these a.s.a.p. If you don’t have Standard Operating Procedures in place, sit down with your team and define the key processes involved in receiving, put-away, replenishment and shipping. This shouldn’t be onerous – just a few simple workflows. Equally important is how you handle any exceptions to these processes (or would like to but currently don’t). You’ll be amazed how many improvements will be identified simply by documenting what ‘just happens’ in your current operation. Doing this in advance will help project stakeholders understand better how your business works and establish clear objectives for the implementation, as well as giving your vendor what they need to ensure their WMS works for you. A single person with a complete overview will help overcome any challenges during the implementation and ensure that important decisions are made and authorised quickly. Many customers expect their project lead to take on the WMS implementation in addition to their existing responsibilities. While managing a WMS implementation should not be a full time job, make sure your project lead’s manager is aware of the project’s importance and allows them to give it the time and attention it requires. To get your whole business behind the project, ensure that all departments are aware of the the reasons behind it and what the positive outcomes can be if everyone strives to make it a success. Finally, make sure you’ve set a realistic timeline for implementation. A warehouse management system is a sophisticated business application, not a simple plug-and-play solution. If your vendor tells you otherwise, ask yourself whether their solution is flexible enough to meet your needs, not just now but in the future. Ask your WMS provider what time will be needed to make the project a success – a quality vendor will be very clear about this from the start. Integration is critical to the success or failure of any WMS project, however, configuring and readying the interfaces on a customer’s host system is often performed by a separate IT team. Make sure your project lead keeps sight of this activity and that it is on track with the rest of the project. Interfaces must be tested with the WMS project team and form part of User Acceptance Testing (UAT), the final event before go live takes place. If you’ve not deployed important business systems before, you could underestimate the importance of testing the system with your business processes. Big mistake. User Acceptance Testing is critical to the smooth change-over from the current processes and long-term success of the project. UAT should always be part of the schedule produced by the WMS project manager and requires the key users, already trained by the vendor, to work with other staff members to validate how the WMS is fulfilling the agreed-upon solution specifications/requirements. Quality vendors will provide a template to assist clients when performing these tests; however, it takes time and effort when people are already busy. The project manager should stress the importance of these tests, even if it means investing some overtime into implementation. The accuracy of the stock position, including specific locations and the items contained within them, is fundamental to a successful go-live. 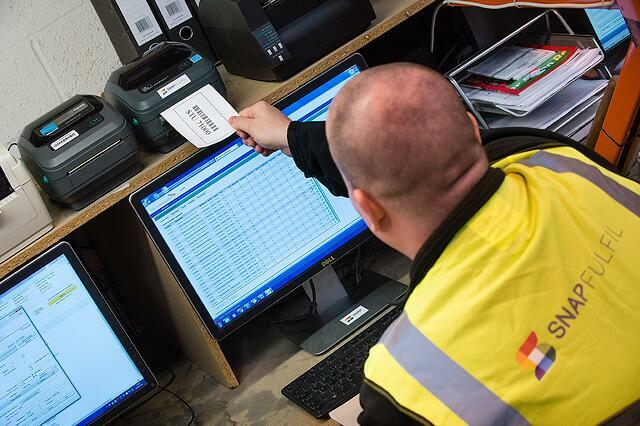 Carrying out a full stock take before the event will give your new WMS the most accurate starting point and help build confidence in the “new normal.” Nothing deflates and confuses a warehouse team faster than thinking “this new system is wrong” when the items which are supposed to be there for picking are absent. When it’s time to launch, make sure that everyone has the correct logins and permissions in place to begin using the system. Flash cards can be printed and laminated with the key details and critical steps to do each job using the new system. Involve as many people as possible in the UAT phase to ensure that users understand what they need to do – not only when things are going smoothly, but also when problems arise. Learning to drive a new vehicle takes time, and knowing where the brake is and how to use it is key to everybody’s safety! After the energy and drive invested by the warehouse team to make the change to a new system, it’s important to spend some time in the following months taking stock. Have you achieved your initial goals? If not, why not? What can you do to change things? Speak to your vendor’s project manager and ask them what options are available. If you’ve smashed your original goals, a small token of thanks to your team is often well received and represents a worthwhile investment in their continued support. Once your new WMS is driving a smooth and trouble free operation, you may be surprised at how modest your initial targets were! Now you know just what your new system is capable of, set new goals and targets and monitor against these.